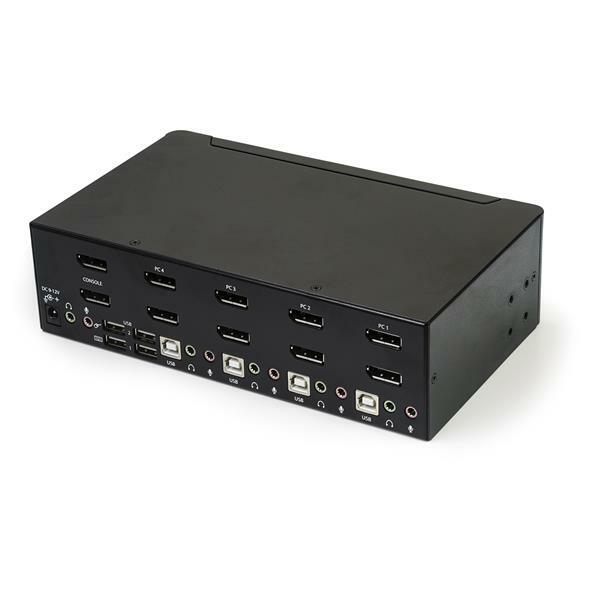 This 4-port dual DP KVM switch combines dual 4K 60Hz displays with KVM switch control of four connected PC and Mac computers. It features audio and USB peripheral support along with dual-display capability, which makes it easy to create a multimedia workstation that can switch between two dual-head DP systems. 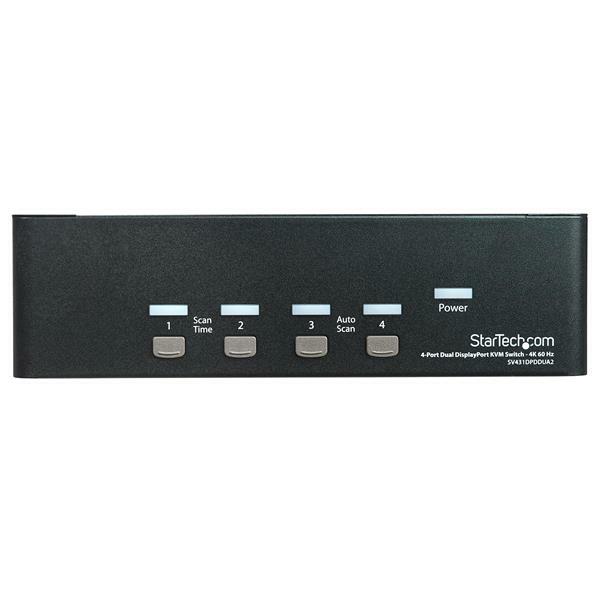 With two DP video inputs and control of four different computers, this Ultra HD KVM switch helps maximize productivity by giving you the freedom to multitask. Each of the DP ports supports resolutions up to 4K 60Hz, for maximum screen viewing space. The dual DisplayPort KVM switch supports resolutions up to 4K at 60Hz, and can drive two large DP displays with ease. An ideal solution for creating workstations where high-quality imaging is critical, such as for graphic design. 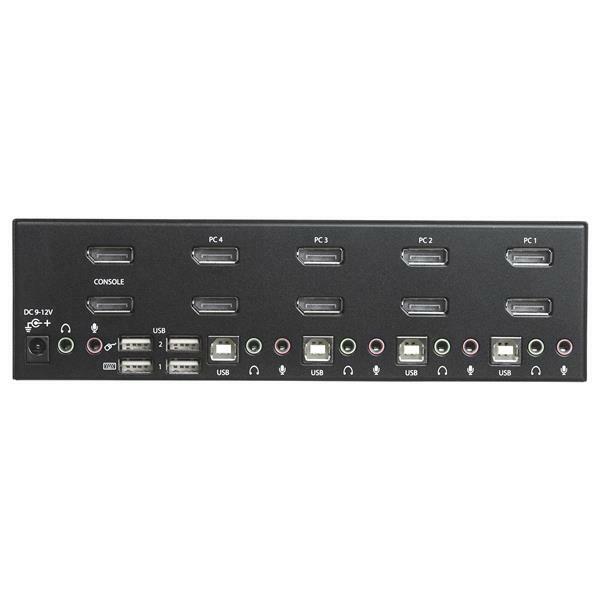 The KVM switch features full multimedia control with separate 3.5 mm microphone and speaker ports and two USB ports separate from the HID keyboard and mouse. The independent audio support lets you share independent analog audio from each of your connected computers, while the 2-port USB hub enables you to share USB peripherals between each connected computer. 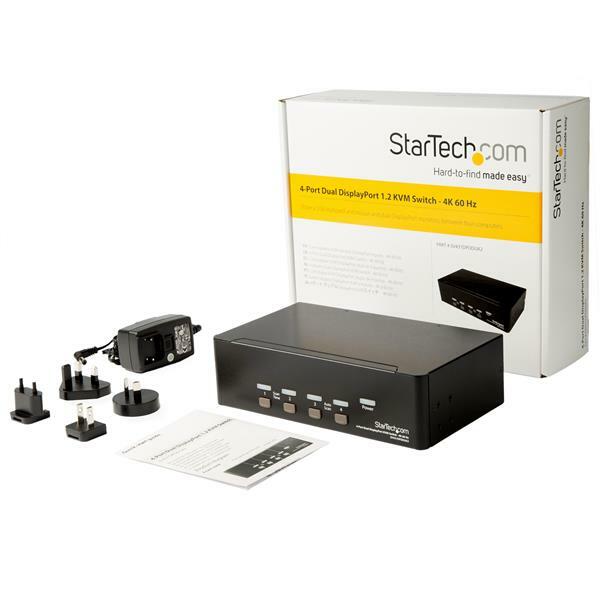 The SV431DPDDUA2 is TAA compliant and backed by a 2-year StarTech.com warranty.